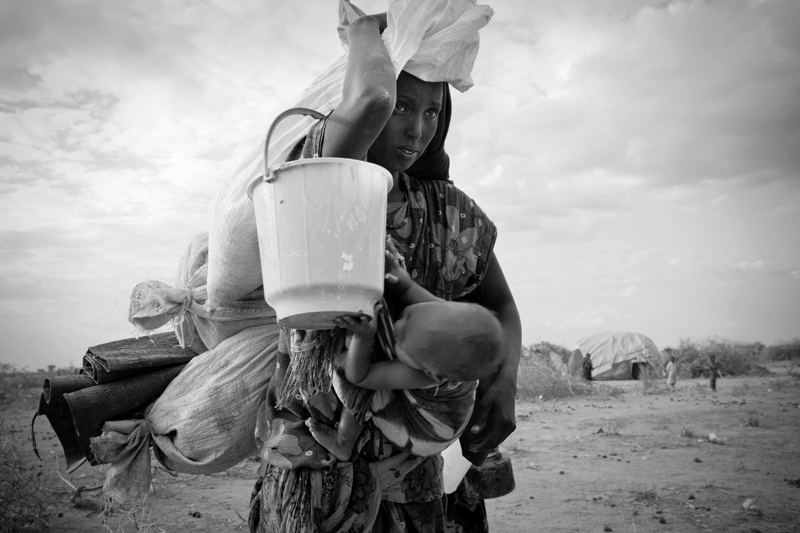 A Somali Refugee at Ifo extension carries her belongings, as well as her child. As many as 1,500 refugees are arriving daily. Although designed to hold only 90,000 refugees, over 400,000 people have streamed in.